I had this amazing cosplay in my Grand Prairie studio this weekend. 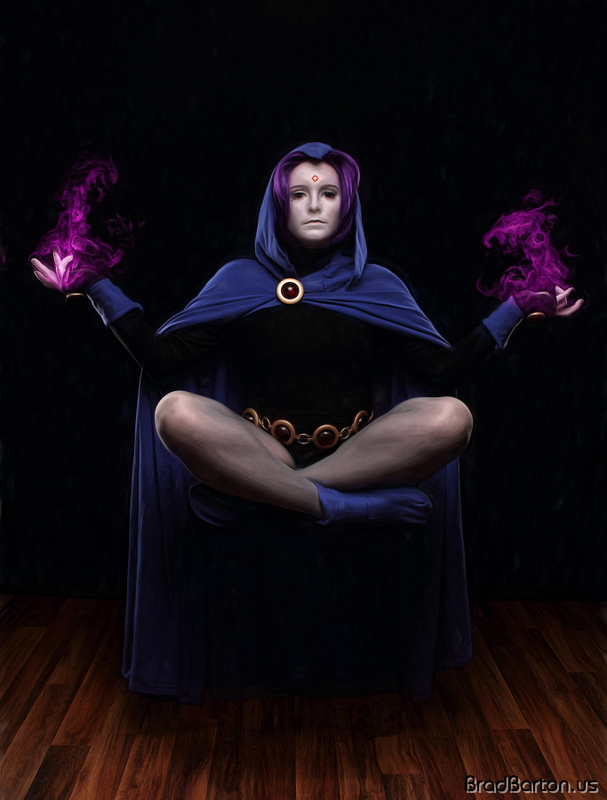 Raven from the Teen Titans is a great character – dark origins, but somehow innocent and heroic. Her powers are based in dark magic, but we still want that inner glow to shine through… for this image, we decided to go for a classic Raven pose.